One of the underrated parts of champions is the performance of their role players. An organization has a symbol or image that gives people something to picture when thinking of that team. When it comes to an individual player-heavy league like the NBA, LeBron James and Dwyane Wade will easily come to mind when thinking about how and why the Heat have been so successful the past two years during their championships. And deservingly so. However, just as is the case with any team of any league of any sport, there was much more to these championship than their best players’ outings during the past two Finals. LeBron’s monster 37 points and 12 rebounds showing in Game 7 will never be forgotten when people reminisce about these champions. But as I said, there’s so much more to it than this one guy. This “more” is the role players. The players that don’t worry abou the attention or the ability to do what they want—the players that contribute in their specific role in order to give their teammates the best chance of winning each game. What was the “more” in last night’s ever-so-decisive Game 7 of the NBA Finals? 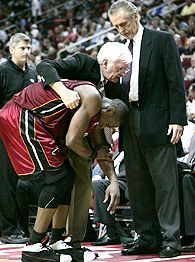 Shane Battier pulling a Mike Miller. During last year’s NBA Finals, Battier was in the starting lineup serving his role as a spot-up shooter and filling that role more than perfectly. Going 9-for-13 from three-point range in his first two Finals games and becoming the Heat’s greatest contributor to stretching the floor, Battier consistently made his shot throughout the series and played a key role in guiding his team to the top. Who knows if LeBron and Wade would have had the breathing room to create their own shot if Battier hadn’t have been sitting on the outside ready to fire. During this year’s NBA Finals, Miller found himself in the starting lineup for the latter part of the series, serving his role as a spot-up shooter and filling that role more than perfectly. Going 9-for-10 from three-point range in his first three Finals games and becoming the Heat’s greatest contributor to stretching the floor, Miller consistently made his shot throughout the series and played a key role in guiding his team to the top. Who knows if LeBron and Wade would have had the breathing room to create their own shot if Battier hadn’t have been sitting on the outside—with one shoe or two shoes on, didn’t matter—ready to fire. However, another shooter decided to appear for the Heat’s closeout Game 7 95-88 victory who had been all but irrelevant up to that point. After going 6-for-19 in the first six games and racking up a total of 21 points, Battier caught fire. No really, he was heat. Battier shot 6-for-8 from deep and had himself 18 big points in one of the biggest games of his career. No one saw it coming based on his 20 percent shooting (20-for-80) from deep in the playoffs up until this Game 7. I’m describing these out-of-nowhere performances to help you understand just how important these out-of-nowhere showings are, especially for a Heat squad that requires quality shooting to surround the always attacking James and Wade. 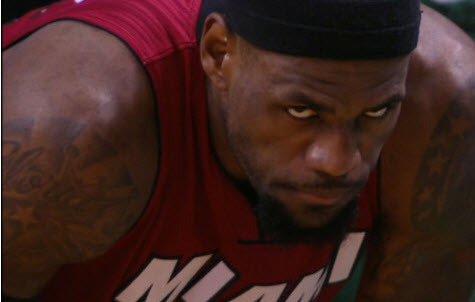 The naysayers can point out that the Heat only won because they had players like Miller, Battier and others not named LeBron/Wade/Bosh during the past two championship runs playing out of their minds. In a way, they got “lucky.” I mean, was it fair that Battier scored back-to-back 17 point games during last year’s Finals? How could the Thunder have prepared for that? Was it fair that Mario Chalmers exploded for 19 points in Game 2 while being mostly irrelevant for the majority of the other games in the Finals? How could the Spurs have prepared for that? I used to be one of these naysayers that looked upon these players as inconsistent rather than “stepping up.” (Now, whether or not my distaste for the Heat played a part in this is for another time.) But what these outbursts represent is the “more” championship teams will always need. They need players to step up onto the big stage, put on their “big boy pants” as Gregg Popovich likes to put it and make an uncharacteristic impact that betters the team and gives them the edge. It’s not luck; it’s trust. It’s trust from the coaches and their stars that when the lights are shining brightest and the defenses are schemed to clamp down on the superstars, the “more” of the team will find a way to give that extra and unexpected push to the finish line. Whether it’s been Miller or Battier, these shooters have been that “more” the past two years that has pushed this team toward becoming a dynasty. Ever since the Heat’s Big 3 joined forces, they’ve been under constant scrutiny, even after winning the championship last year. During Game 4 of the NBA Finals Thursday night, these three men came up big in a massive way. During the Miami Heat‘s 109-93 beating over the San Antonio Spurs, LeBron James, Dwyane Wade and Chris Bosh collected 85 points, 30 rebounds, nine assists, 10 steals and five blocks. In Games 1-3, they averaged 43.3 points combined. They almost doubled that Thursday night. When Wade has scored 20 or more points, the Heat have won twenty-nine consecutive games. He now joins Isiah Thomas as the only players in NBA Finals history to record at least 30 points and six steals in a single game. With 33 points, Thursday night was the most points James has ever scored in any of his 19 career Finals games. 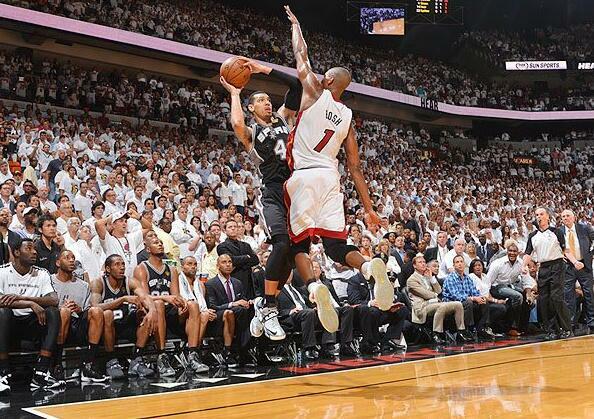 Bosh had his third straight double-double in Game 4, having only two in the first three rounds combined.